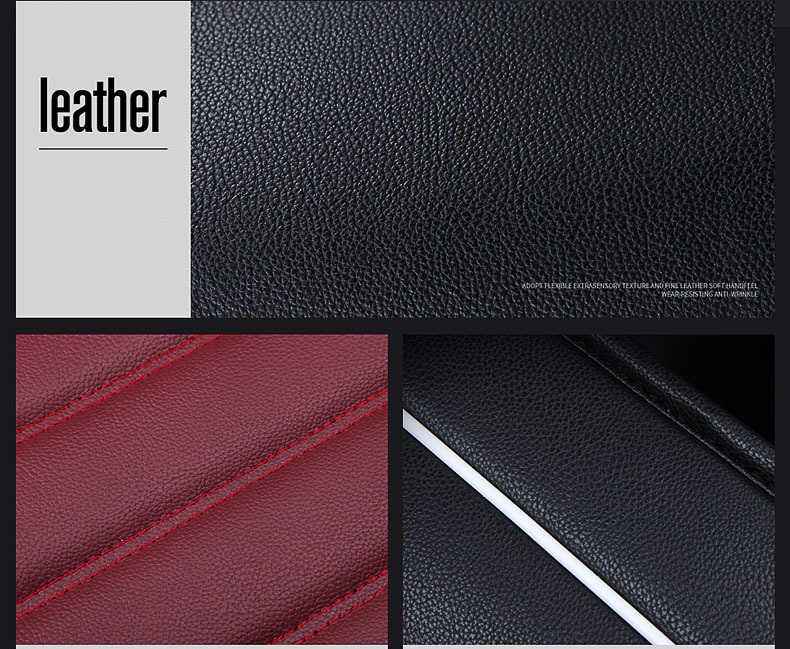 1,The material is artificial leather,breathable and comfortable. 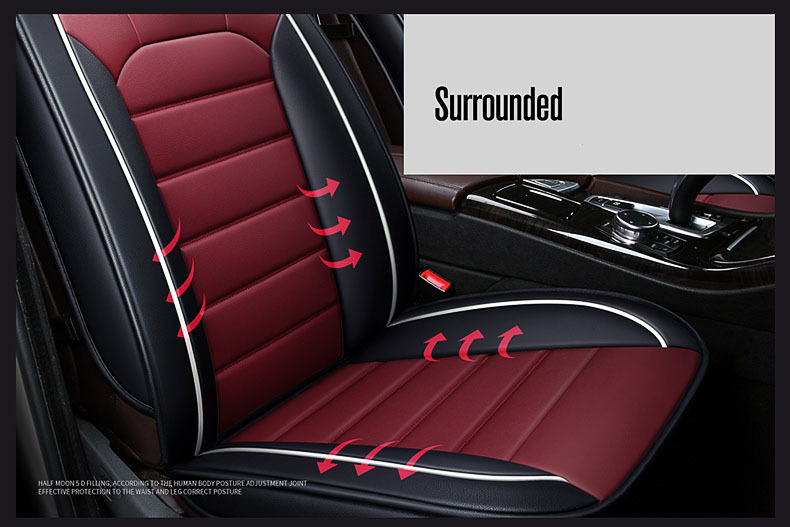 3,The car seat cover doesn\'t affect the airbag. 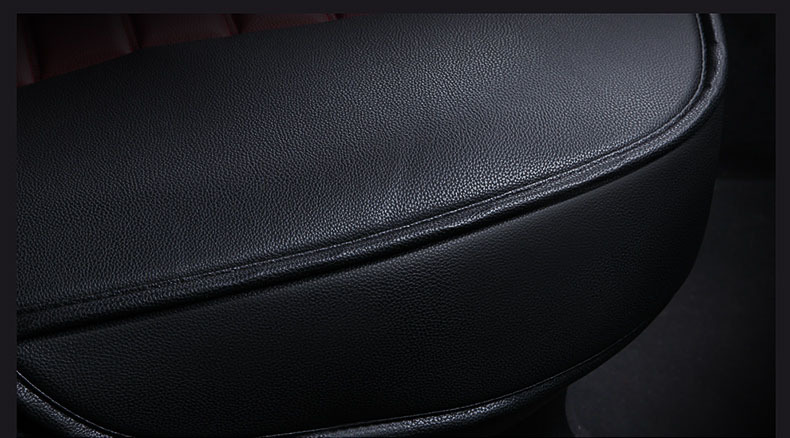 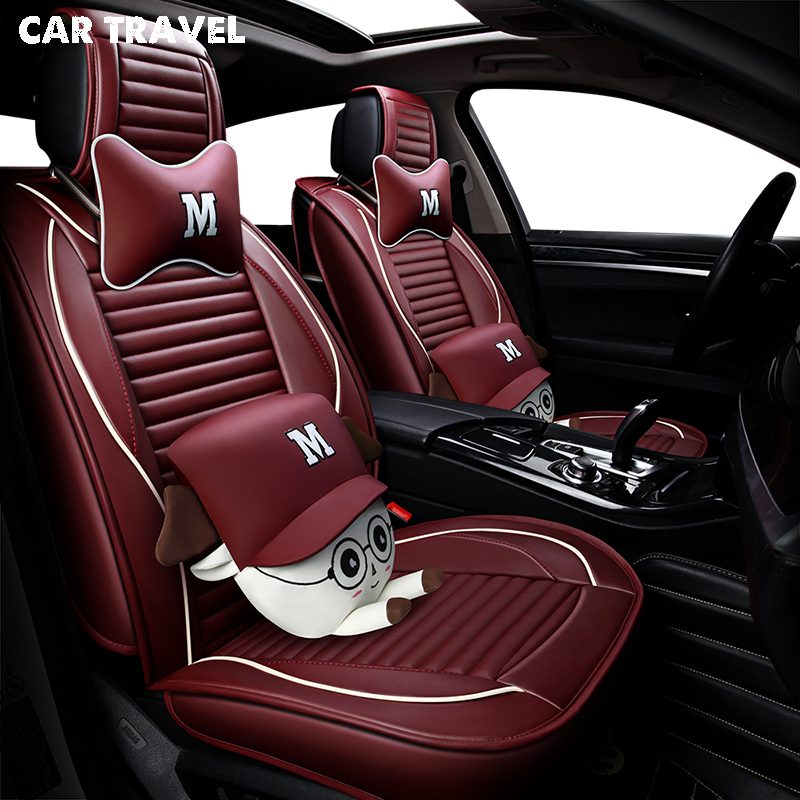 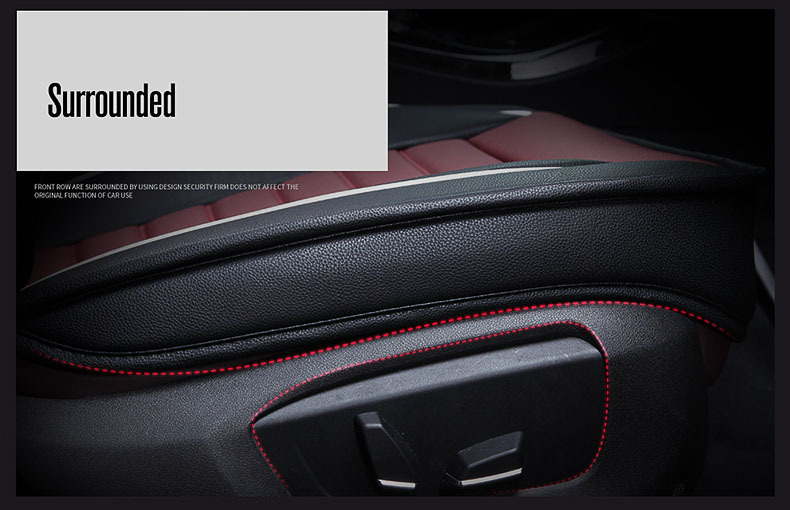 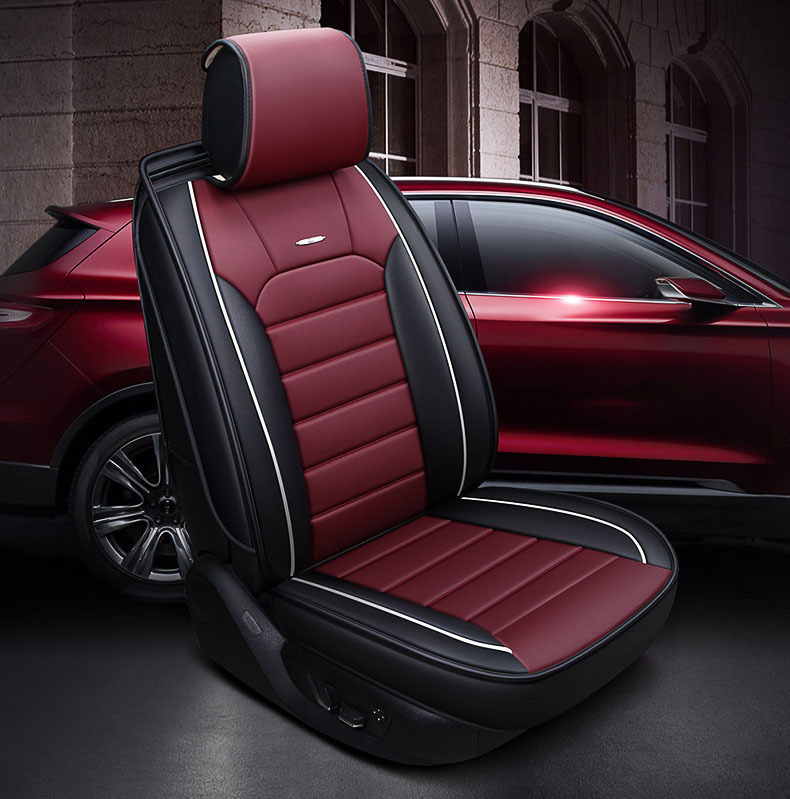 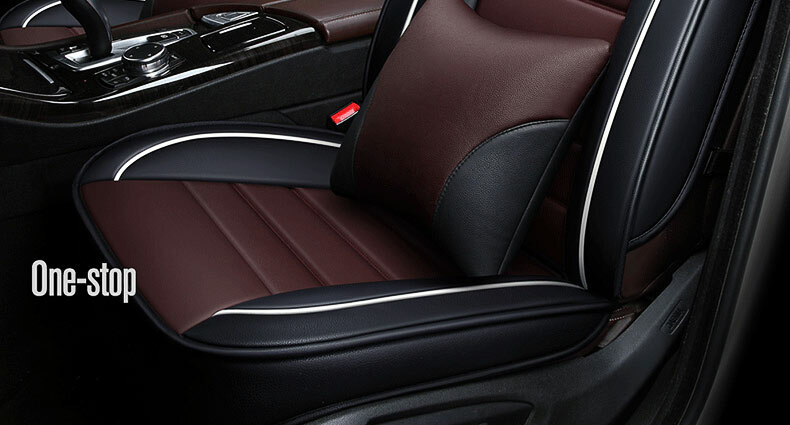 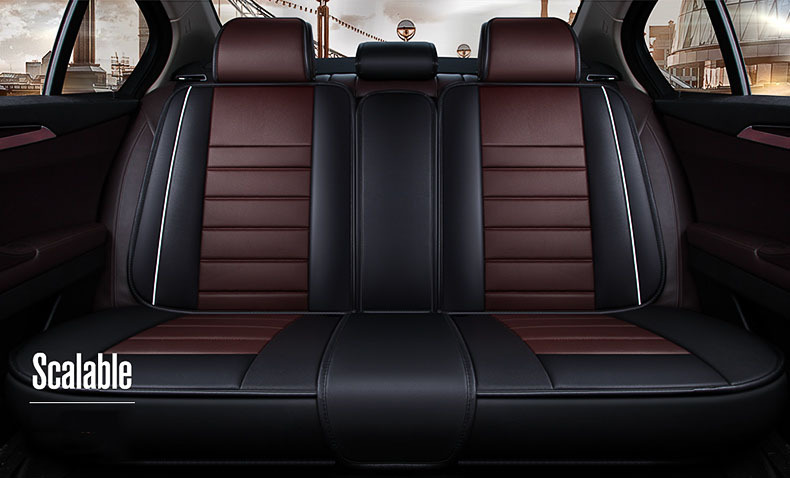 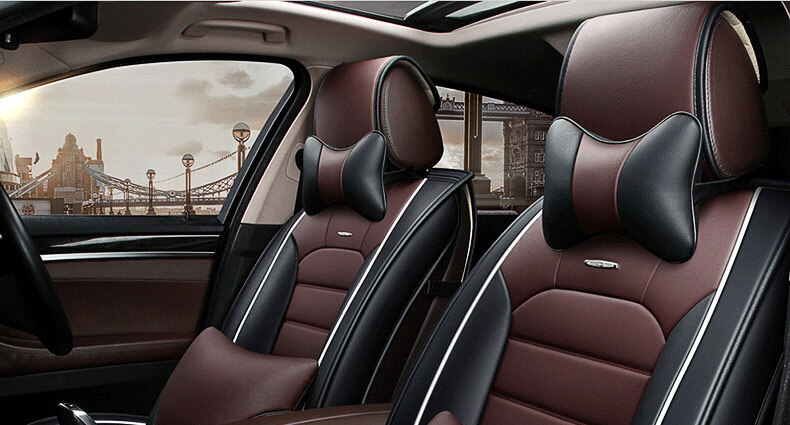 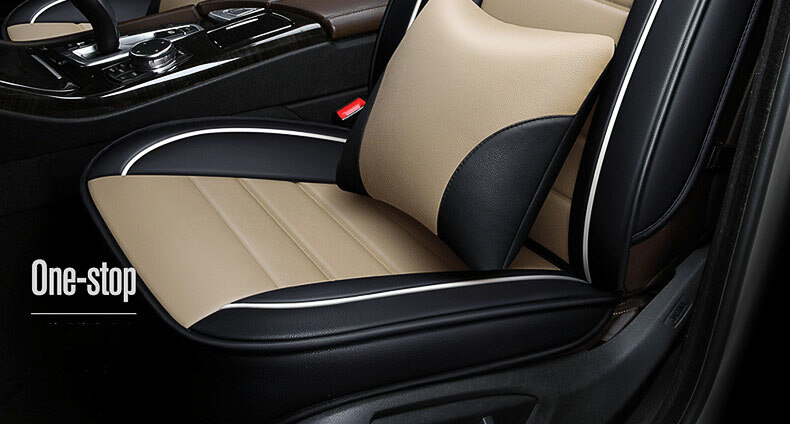 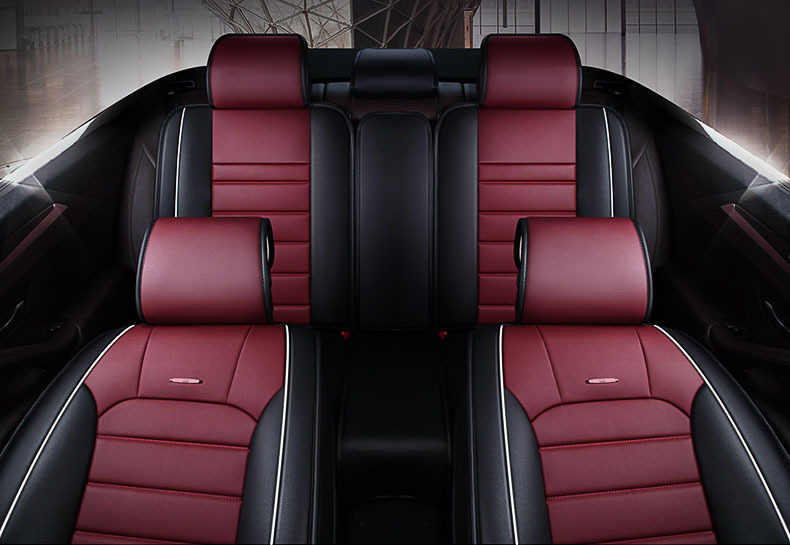 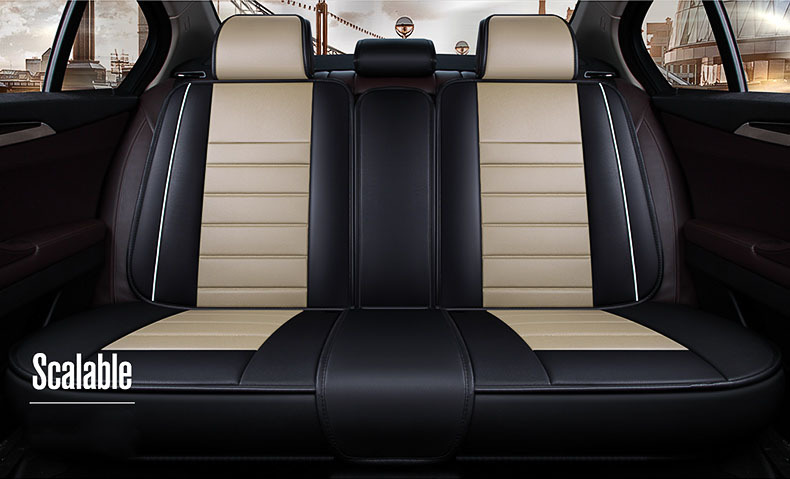 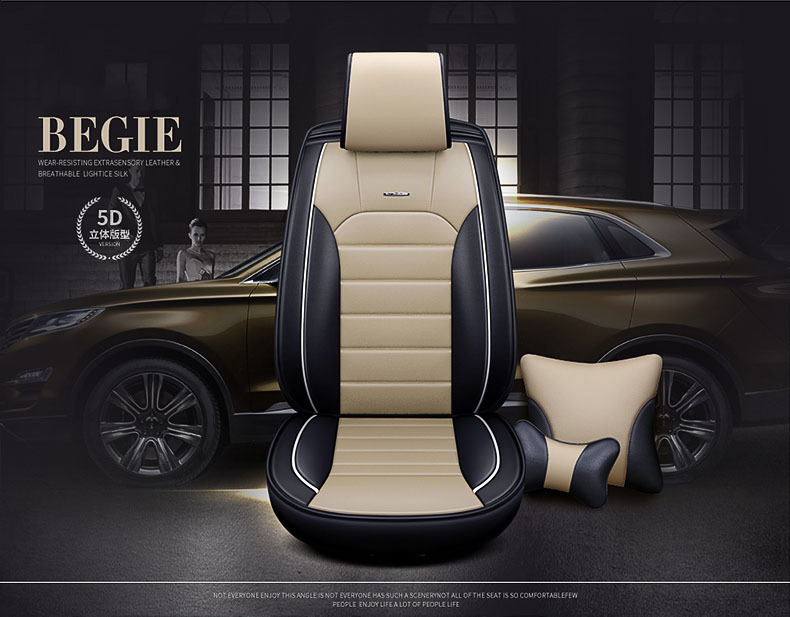 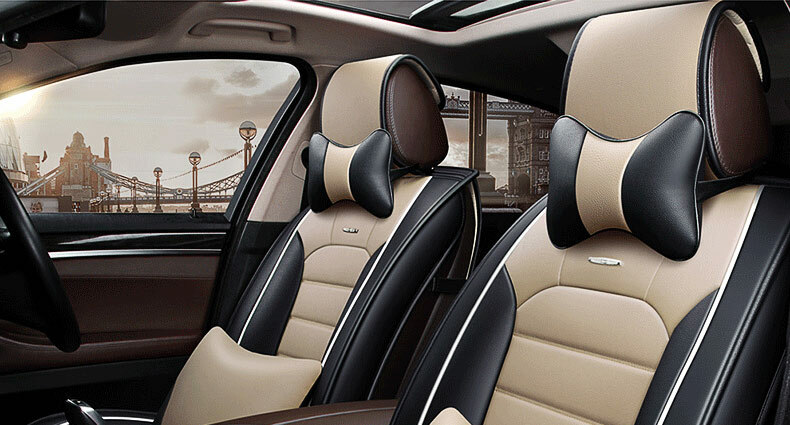 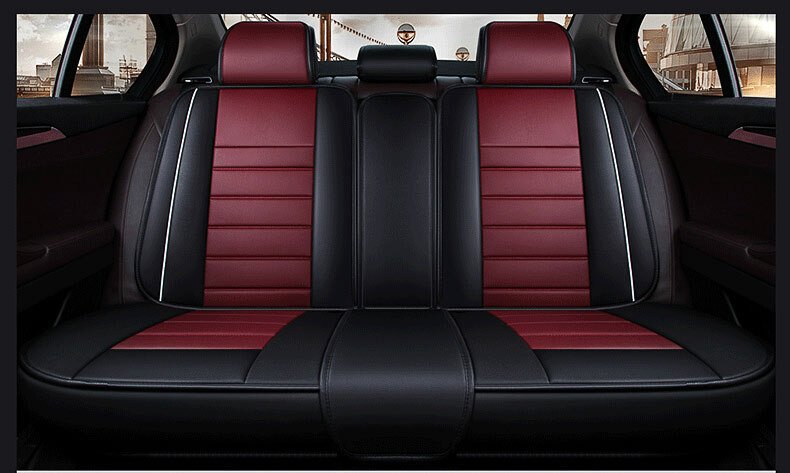 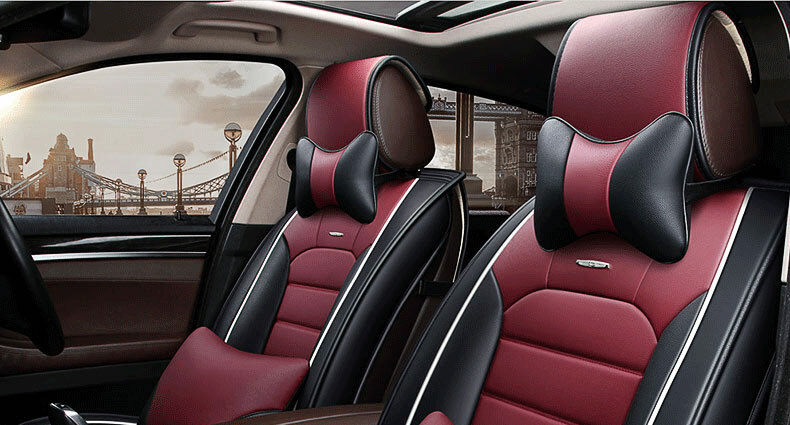 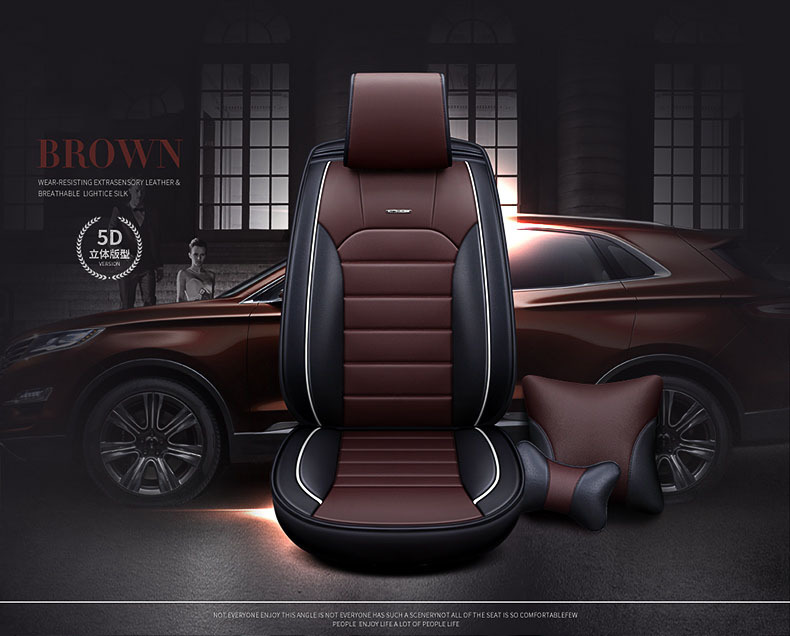 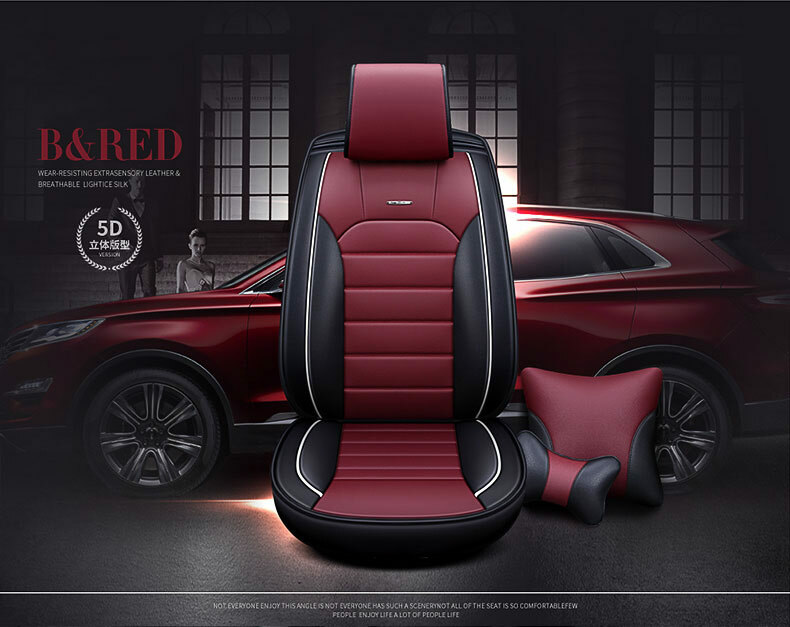 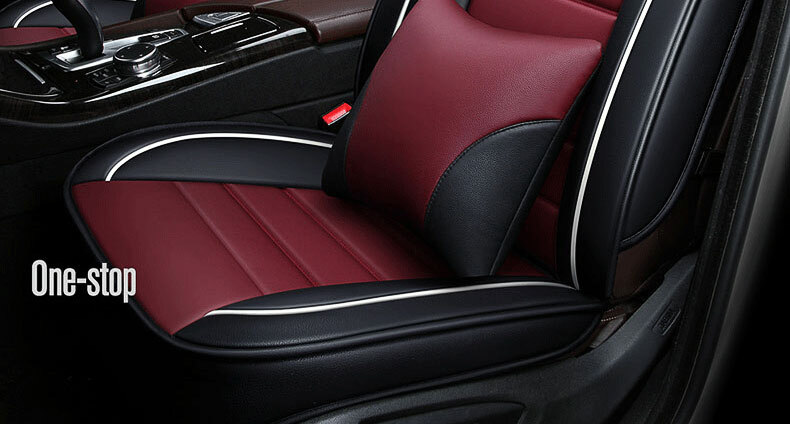 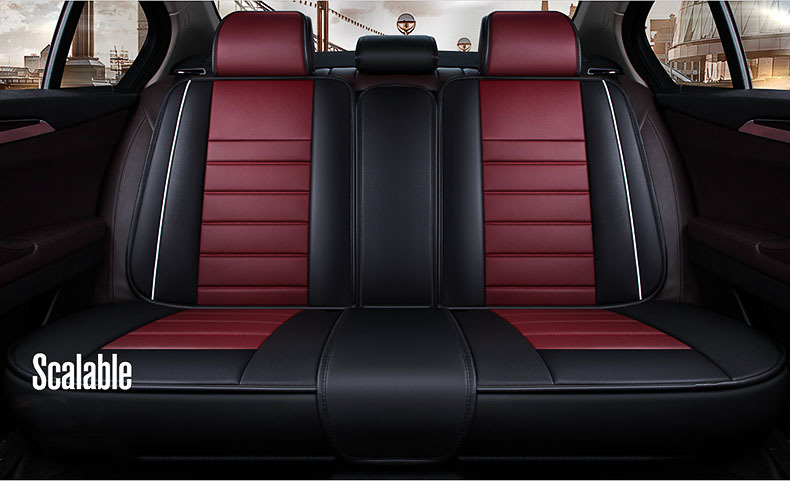 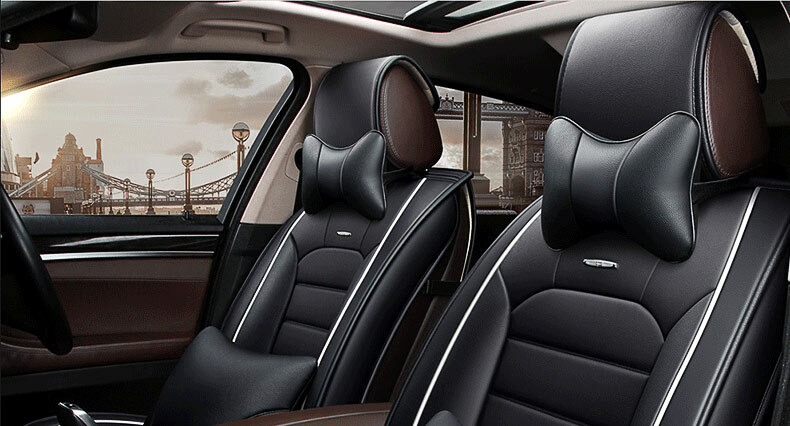 4,If there is a armrest(cup holder)on the rear seats backrest,the seat cover doesn\'t affect it. 5,The car seat cover is universal,it fits most of 5-seater cars,suv,pick-up,trucks which have separate headrest. 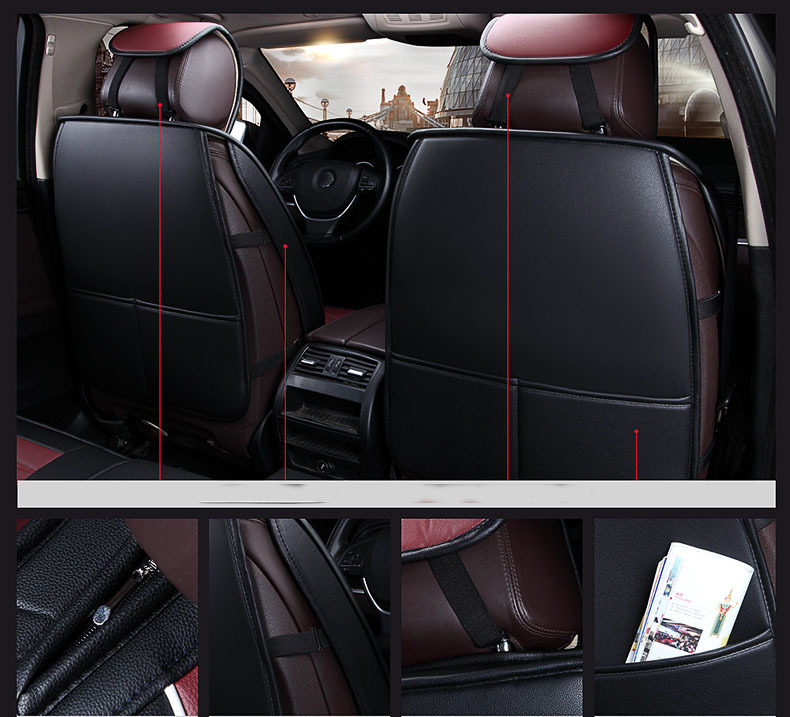 6,The seat cover is for 5 seats,including front add rear parts,2 pillows,2 cushions.